Born: 11 December 1799, Marnoch parish, Banffshire, United Kingdom. Died: 20 December 1873, Port Elizabeth, South Africa . James Rose Innes (also Rose-Innes), educationist, was the son of William Hamilton Innes and his wife Isabel. He studied at King's College, University of Aberdeen, from 1814 to 1818. After teaching for three years he continued his studies at King's College, graduating as Master of Arts (MA) in 1822. At that time Dr George Thom* was in Scotland to select teachers, as English had just been made the official language of the Cape Colony. Among others he recruited Innes, who was posted to Uitenhage. There he became a successful teacher for eight years, mainly because he was one of the very few Scottish educators who was able to adapt to the local culture. By 1830 he was head of the government school in the town. He married Margaret (Mary) Fleischer in April 1823 and they had nine children. One son, also James Rose (1824-1906), became under-secretary for native affairs in the Cape Colony and his son, again named James Rose (1855-1942), became chief justice of the Union of South Africa. In April 1830 Innes was asked by the council of the newly founded South African College, Cape Town, to apply for the post of professor of mathematics. He finally accepted the position in June that year. Although this was the most senior teaching post in mathematics in southern Africa at the time, most of his senior students were only at secondary school level. In 1839, as a result of public pressure for educational reform which included recommendations by Sir John Herschel*, the post of superintendent-general of education was created, to be filled by a professional educator rather than a politician or cleric as was still the case in Europe and elsewhere. Innes was appointed to this post in May 1839 and thus became the head of the first government education department in southern Africa. His duties included selecting sites for twelve new schools which were to provide both primary and secondary education, inspecting and controlling all government schools, conducting examinations, and appointing teachers. He visited England in 1840 to recruit more teachers and in October that year was awarded an honorary Doctor of Laws (LLD) degree by the University of Aberdeen for his services to education. During the next two years he arranged financial aid for missionary schools and succeeded in establishing a system of state-aided schools for rural areas. He even succeeded in establishing a normal school in Cape Town to train teachers, but as most students ended up elsewhere in the civil service the institution was closed in 1859. 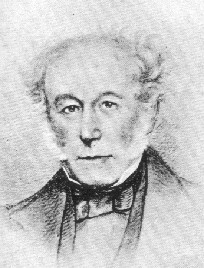 From about 1850 Innes could no longer manage his increasing work load and began to be criticised for failing in his duties. He resigned his post in 1859 and was succeeded by Prof. L. Dale*. As one would expect from a person in his position Innes participated actively in the affairs of several organisations. He was a member of the management committee of the Cape of Good Hope Association for Exploring Central Africa, which organised Dr Andrew Smith's* expedition into the interior, from the association's origin in 1833 until it faded away around 1850. In January 1842 he was elected a member of council of the South African College and served to at least 1850. He also served on the management committee of the Cape Town Mechanics Institute, an organisation that provided informal education for the working classes, from its establishment in 1853. He was joint secretary and then a committee member of the South African Literary and Scientific Institution, the most important scientific society at the time, from 1837 to 1855. In 1858 he became a member of the board of public examiners and later served as its secretary. He remained a public examiner in science until 1867. In 1861 he was appointed as a member of an important education commission, the recommendations of which formed the basis of the Education Act of 1865. Cape of Good Hope. Report of the Board of Public Examiners..., 1861-1867. Cape of Good Hope almanac and annual register (title varies), 1838-1857. Cape of Good Hope Association for Exploring Central Africa. Prospectus of a plan for an expedition into Central Africa. Cape Town: G. Greig, 1833. (South African Library, in SABP4). Cape Town Mechanics' Institute. Laws, July 1853. Cape Town: Saul Solomon, 1853. James Rose Innes (1). Geni. Retrieved from https://www.geni.com/people/Dr-James-Rose-Innes/6000000023936219898 on 2018-1-16. Pells, E.G. Sir John Herschel's contribution to educational developments at the Cape of Good Hope. Quarterly Bulletin of the South African Library, 1957, Vol. 12(2), pp. 58-65. South African Commercial Advertiser, 19 February 1831, p. 1, Presentation to Mr Innes; 30 March 1833, p. 1, Central Africa; 2 December 1837, p. 1, South African Literary and Scientific Institution; 28 July 1838, p. 1, Annual General Meeting of the Institution; 9 January 1841, p. 3, Dr Innes and Dr Robertson; 20 October 1841, p. 2, South African Literary and Scientific Institution; 30 July 1853, p. 2, Mechanics' Institute.